Tipperary Then and Now. An interactive look at the streets of Tipperary today and in days gone by. 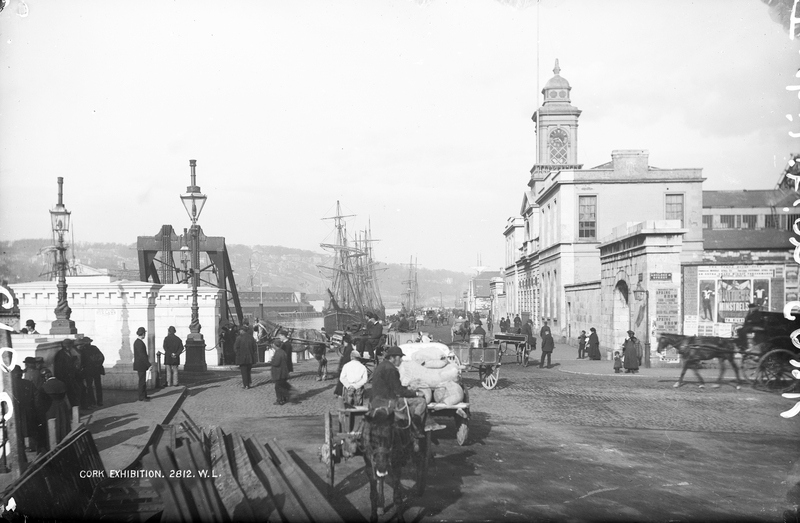 Cork Then and NowZoom in on Ireland's rich history as it is relived in images of Cork, past and present. 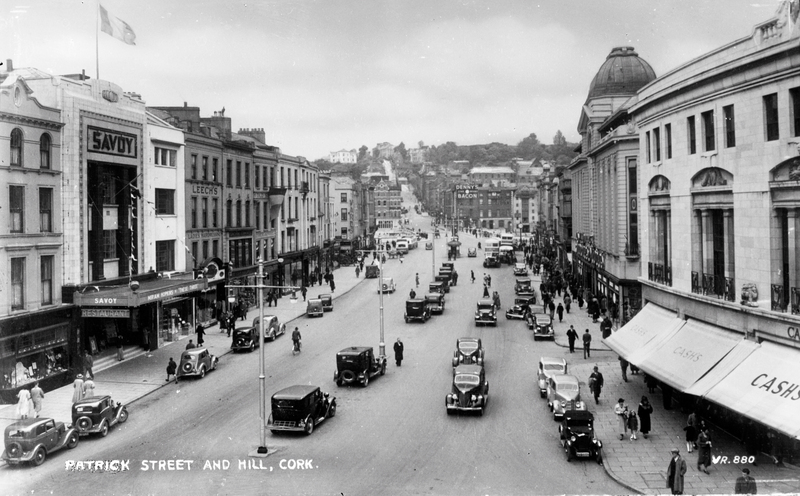 A busy shopping district for generations, Patrick Street has long been the beating heart of Cork - so where better to begin our journey through Cork, then and now? 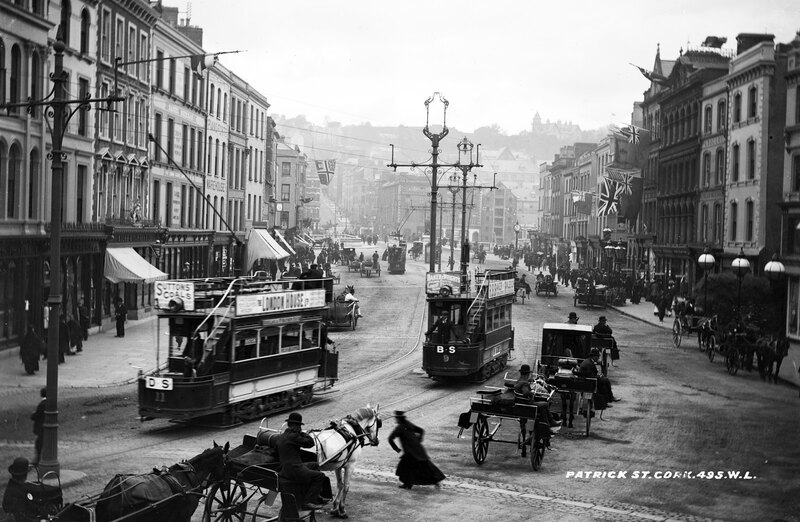 Here, in 1902, Cork's iconic trams dominate a broad street, well-trodden by the many horses and carriages which make their disorderly way toward St Patrick's Hill in the distance, beyond the River Lee. Union flags, flying on both sides of the street, remind us that - a century after they were passed - the 1800 Acts of Union remain unrepealed and that, at this time, Cork was a city of the United Kingdom of Great Britain and Ireland. But, as with each of the images which follow, old and new, it is the people and their individual stories which bring the picture to life. In the foreground, a lady dashes across the busy street, narrowly missed by the advancing horse and carriage. Who is she, and where can she be going in such a hurry? Zoom in and have a look for yourself. Taken at the time of the Cork Exhibition (1883), this image shows a bustling civic centre, full of life. Posters on the right-hand side advertise performances from Matthew's Minstrels and a Spring Show in the Corn Exchange. Just around the corner, beyond the archway, a small boy seems to be playing fiddle. Or is there some other explanation for the close scrutiny of his chaperone? Are we being watched? (By a gentleman in the foreground, seated on a bench.) It is 1948, and the Twentieth Century is in full swing, heralded by the arrival of the motor car. There are dozens of them in view, including several delivery vans. Cyclists can still be seen on the right-hand side of the picture, as can one horse and cart. Painted advertisements tell us of O'Shea's Bread (foreground, left), McCarthy's Bread (background), Seán Jennings Ltd. with its furnishings, laundry room and dried bedding (middle distance, left) and - of course - Murphy's Stout (background). Towering over it all, then and now, the National Monument, unveiled on St Patrick's Day in 1906. Eagle-eye Corkonians will note the absence of Bishop Lucey Park which, though known to many locals as the centre of Cork City, did not exist until 1985. 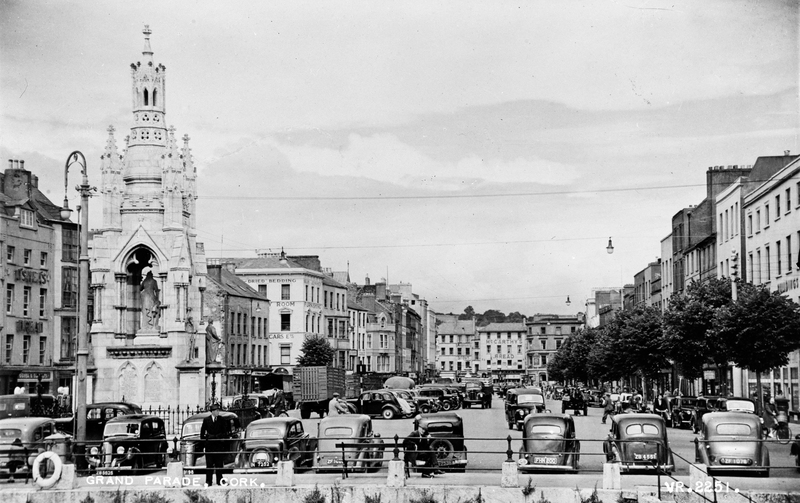 Space for its main gateway onto the Grand Parade was made available after the Jennings building (pictured) burnt down in 1970. 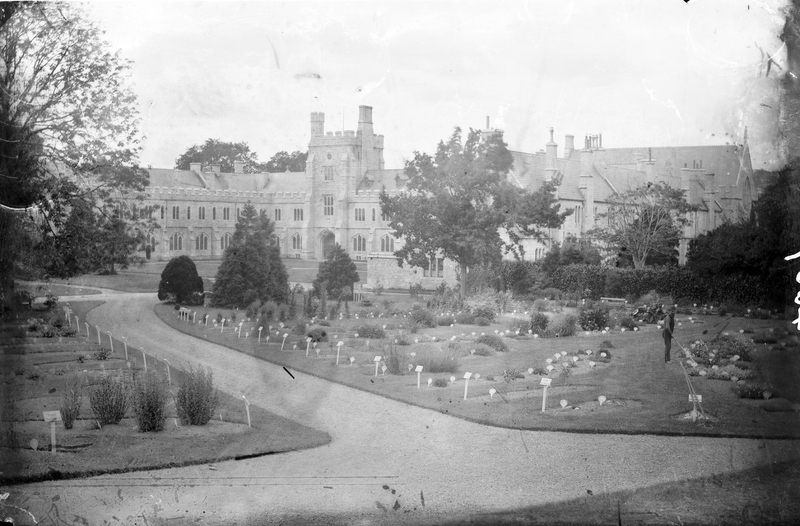 Taken 55 years after the opening of Queen's College, this image shows what is now known as the Main Quadrangle of University College Cork. Here, over a century ago, the land was less decorative and more horticultural. Plants are neatly ordered and labelled, and a beehive can be seen in the middle distance. A worker is tending to a bed: if you look carefully - yes, he's watching you, too! In an age before health and safety regulations, the driver of this locomotive casually hangs out of his train, holding a bell as he passes a boy on a bicycle. Looking over his right shoulder, the boy seems transfixed by the couple standing beneath the steps of St Patrick's Church. Or perhaps he is looking at that most emblematic of 1960s icons, the VW Beetle? The cross-city railway ran along this stretch of road until the mid-1970s. Even more enduring, the Esso garage in the background would remain until the early 2000s, when it finally gave way to what is now Unity House.